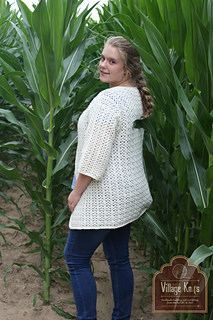 The Katie Cardi is a great lightweight cardigan for warmer months! Using dk yarn so it’s thinner and has a lovely drape, with the option to have short or long sleeves, you can’t go wrong! 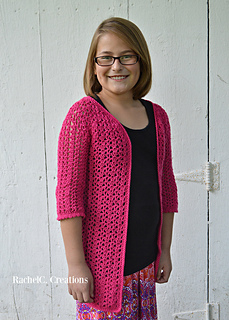 The Katie Cardi has instructions for a short length and a long length and the sleeves are also adjustable. Plus it’s no sew except for a few stitches at the shoulders! !